The client interacts with the remote file system via the SSH File Transfer Protocol (SFTP), a network protocol providing file access, file transfer, and file management functionality over any reliable data stream that was designed as an extension of the Secure Shell protocol (SSH) version 2.0. SFTP provides secure file transfer and a secure remote file system. While SFTP clients may transfer files and directories, the related file system may not be mounted locally using SFTP alone. SSHFS is useful in situations where users are confident that files and directories will not be targeted for writing by another user, at the same time. The advantage of SSHFS when compared to other network file system protocols is that, given that a user already has SSH access to a host, it does not require any additional configuration work, or the opening of additional entry ports in a firewall. 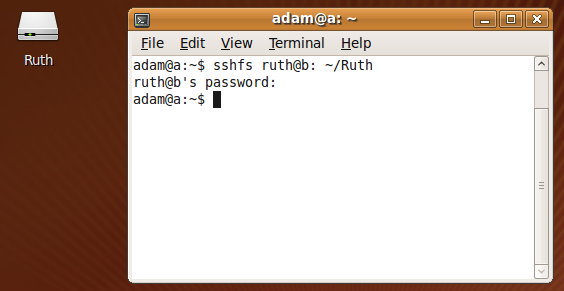 Using the Unix command ls with sshfs will sometimes not list the owner of a file correctly, although it is possible to map them manually. Having seen a reference to sshfs on reddit I thought I would try it under Crostini. I found that sshfs requires fuse, which is not yet available in the stable Chrome OS channel, but it is available on the dev channel. Bookmarking this until it becomes available on stable.